One of the most common issues for websites to be unavailable are their incorrect nameservers or other DNS records. In this tutorial, you will learn how to check if the domain’s nameservers are pointing correctly towards your hosting service while only using your computer’s operating system’s integrated consoles. 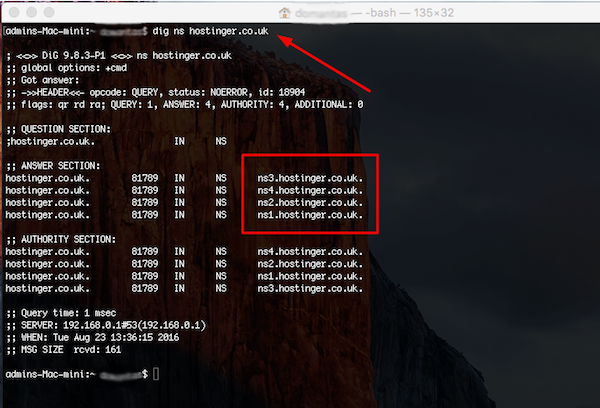 Step 1 — Finding out your host’s nameservers. 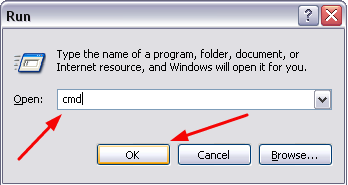 This information can usually be found in your hosting account’s control interface. Look for the options such as Nameservers, DNS Zone Records, DNS, Update Nameservers, Account Details and so on. This is a sample interface where nameservers can be found. Keep in mind that all hosting providers have different members area interfaces and yours may look different. 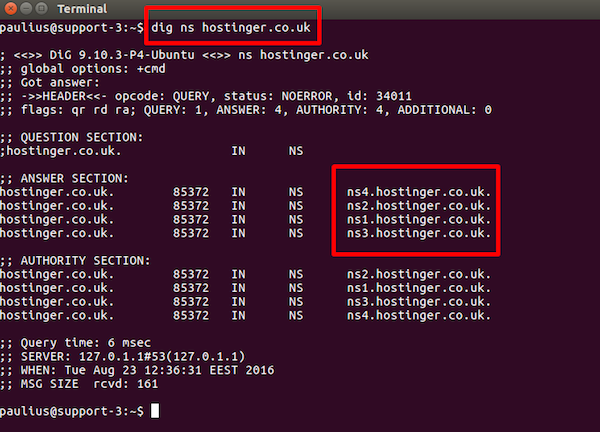 If you are unable to find the correct DNS records you should use, try contacting your hosting provider’s customer support. On your keyboard try to find Windows logo key (it is located between left CTRL and ALT keys). Now press it together with R key. New window Run should show up. nslookup -type=ns yourdomain.tld where yourdomain.tld is your domain name. I have highlighted the area where your domain’s nameservers will be specified. dig ns yourdomain.tld where yourdomain.tld is your domain name. Bottom highlighted area shows where your domain’s current nameservers will be displayed. 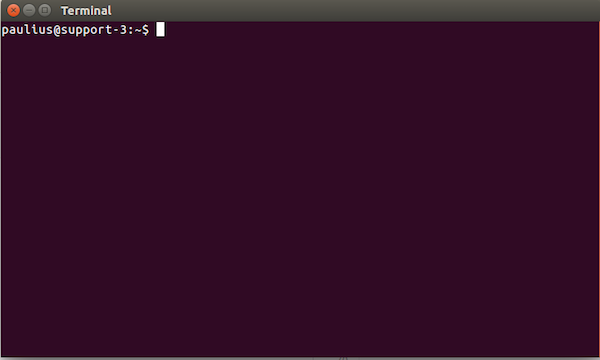 In Launchpad’s search field enter terminal and push Enter. Since you now know your current nameservers, you can compare them to the ones given to you by the hosting company. If they are the same, the domain is pointing to your hosting account correctly. If they are not the same, you will need to contact the company where the domain was registered and provide them with your host’s nameservers (see step 1). In this tutorial, we have learned to analyze our domain’s nameservers without using any external browsing tools. Using this knowledge you will no longer need to wonder whether or not your domain is pointing correctly towards your hosting account.